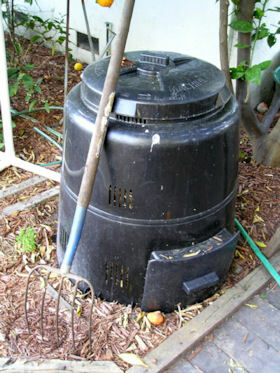 For those of us who want to do as little work as possible, then composting in a cold system is about as easy as it gets. It's all about knowing the right things to put in. What is a cold composting system? A cold composting system is what most of us have. You might have a purpose-made compost bin or a pile at the bottom of the garden but if you have a compost bin that is less than one metre cubed in size, if you add items a little at a time and if you rarely turn your compost, then you have a cold system. Cold composting systems never reach the high temperatures required to kill off pathogens and weed seeds so there are a number of things you should keep out of your bin. As a general rule, you shouldn't put in diseased plants, cooked food, meat, fish or dairy nor perennial weed roots or weeds with seeds. If you're new to composting, you may have been told you need a fifty-fifty mix of greens to browns. (Greens are nitrogen-rich and tend to be wetter, browns are carbon-rich and tend to be drier). This is true but all this talk of greens and browns is complicating the issue. All you really need to know is that you should have a good mix of materials in your compost bin. Put allowable wet and dry household and garden waste into your bin as and when they become available and you'll find you get pretty close to the fifty-fifty ratio without even having to try. Here's a list of things you can put in your compost bin and for those of you who really need to know, we've colour-coded them according to whether they are predominantly green or brown or even both - green and brown. Good source of nitrogen, don't use straight after applying lawn treatments. Good to mix with grass clippings if you can be bothered. If not, just add when available. In moderation when cleaning your brushes. Scrunch it up loosely to trap air. Although cooked, these are okay - very slow to rot down. Leave these whole, there's air inside and compost bins love air! Leave these whole, there's air inside. Things like potato haulms and rhubarb leaves are fine. As long as you haven't been using anti-bacterial spray. Compost needs bacteria! Lots of people think you can't! Shred them or cut them up really small. Neither green nor brown but they will leach calcium to your plants. You won't kill the seeds but nobody minds a few apple trees. Take out the plastic windows and scrunch them up to trap air. If your pet's a vegetarian, put droppings and natural-fibre bedding in. Leave them whole, there's air inside. Could spread potato blight but unlikely. Leave out if you're concerned. Best put over the compost heap in winter and left to rot down. Use in moderation. Too acidic for wormeries but okay for ordinary compost bins. Even with a dressing on it, it's okay. Strictly speaking you should compost these separately to make leafmold but you can use in moderation if you're short of browns. Almost perfect mix of green and brown. 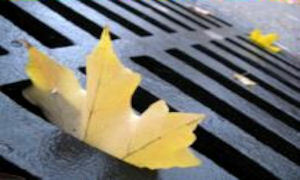 Far from being an inconvenience, autumn leaves are a bountiful resource. Discover the theory behind our best horticultural practices and learn how to care for any plant just by understanding its signals.